Grammy-award nominated electronic dance music DJ and producer Andy Moor has established a distinct, edgy and creative sound that is completely his own. 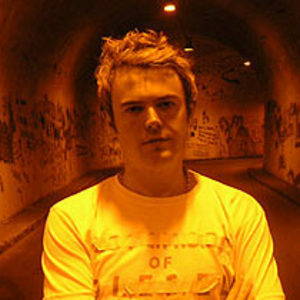 Highly ranked in the DJ Mag Top 100 for the past 6 years, he was nominated for the DJ Awards in 2009, won ?Best Dance Record' at the International Dance Music Awards in 2006, and ?Best Trance Producer' and ?Best Trance Track' in 2004. A highlight of Andy's illustrious career was his nomination in the ?Best Remixed Recording? category at the 2008 Grammy Awards for his remix of Delerium's ?Angelicus'. Now owner of the highly respected AVA Recordings record label, host of the ?Moor Music' podcast and producer & remixer to the stars (past remixes and collaborations have included Ti?sto, Above & Beyond, Britney Spears, Avril Lavigne, Paul Oakenfold and others), Andy Moor is set to release his much-anticipated debut album Zero Point One on July 6, 2012. ?I had been writing the album for many years, but as I was nearing the end, I decided to scrap the older tracks and start over with new ones,? says Andy. ?So this version of the album contains tracks made in the last six months, despite the entire process taking years.? From deep, mysterious ambient to melodic trance and vocal melodies, across the spectrum to rocking break beats and the thick bass of progressive, Andy Moor has fused his beloved sound into a complete package of timeless productions. Zero Point One will be available on July 6, 2012 on Armada/AVA Recordings and will leave fans craving even ?Moor? music from one of the most influential figures in today's electronic music industry.